The Senate Judiciary Committee voted to move forward on a vote to Judge Brett Kavanaugh on Friday. Democrats interfered, interrupted and protested the vote to move forward on Brett Kavanaugh’s confirmation. 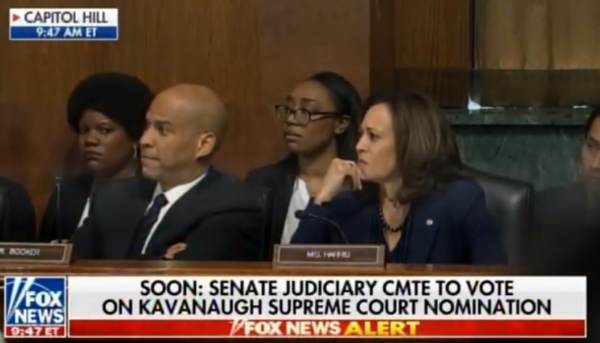 Senators Cory Booker and Kamala Harris refused to speak and refused to put forward a vote. Senator Harris (D-CA) struck a zombie pose when asked for her vote.